Can you imagine living a life chained to a post, with barely any freedom to move? Unfortunately, for millions of cows worldwide, that’s the only life they know. They’ve never experienced green pastures, rain or wind. Do you think they get used to that? 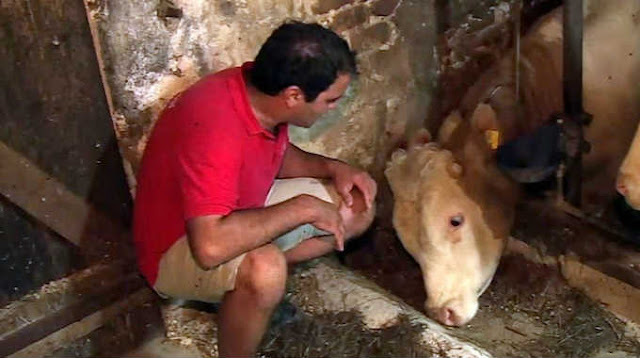 This organization helps animals that are kept in inhumane conditions and after rescuing hundreds of cows, one bull did something that they’ve never seen before. Bandit, as he was named, showed almost humanlike gratitude towards his rescuers and knowing that this poor animal lived his whole life like this breaks my heart.